I can’t knit to save my life, so I had no hope of completing this task. 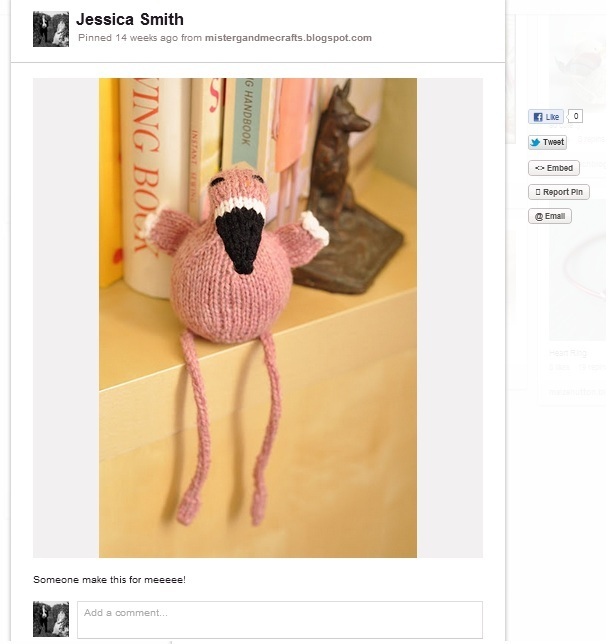 I also had no expectation that anyone would actually make me this flamingo. This past weekend my grandparents were down to celebrate my dad’s birthday and Becky (my grandma) hands me a gift bag out of the blue. What do I pull out of the bag!?!?! Well, I’m sure you can guess by now. IT IS SO STINKING CUTE. She asked her friend to make it for me. 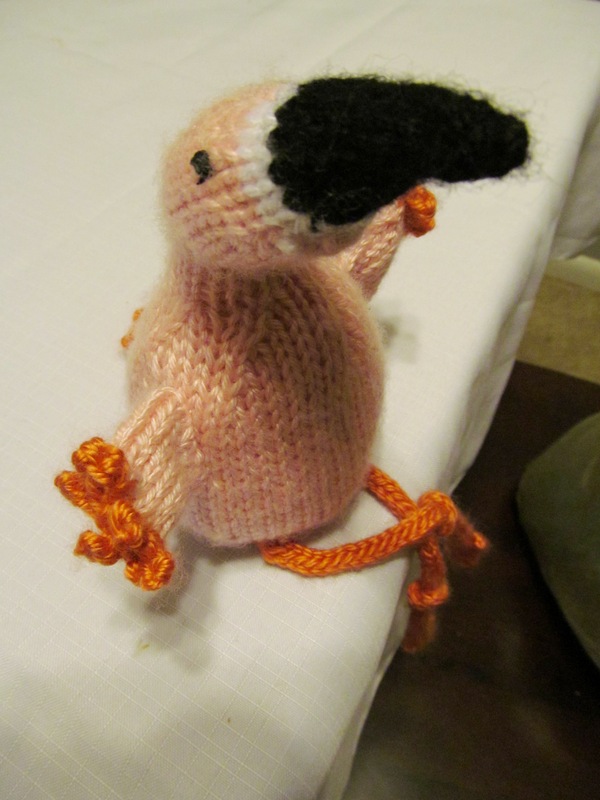 Talk about a pro knitter. Do I have the nicest grandma with the nicest, most talented friends or what!? 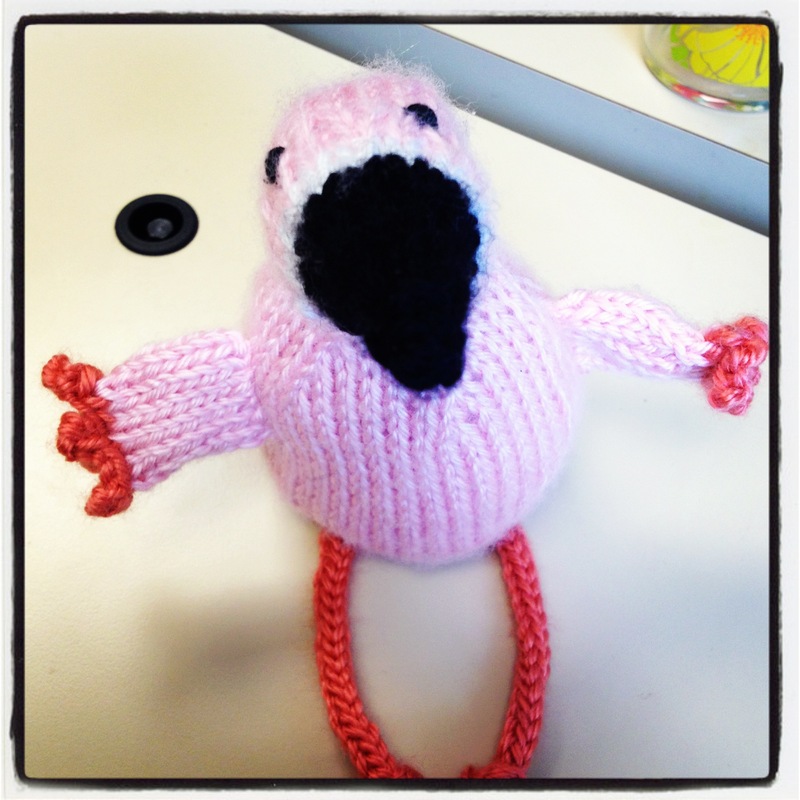 This friendly flamingo was the perfect pick-me-up, too. The hubby and I had to unexpectedly buy a new dishwasher because our rather new one started smoking each time we used it. Stupid dishwasher. 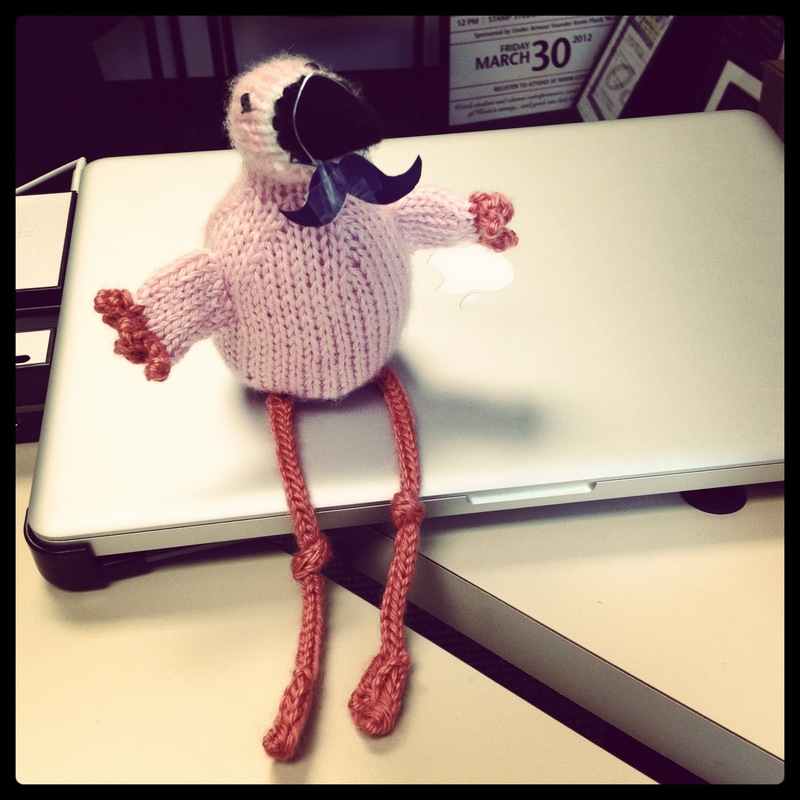 But who can mourn the loss of a dishwasher when this adorable flamingo is near by?! I brought George to work and he sits on my desk. He also has his very own moustache so he can fit in when my coworkers and I do our French moustache laughs (yes, this happens often). 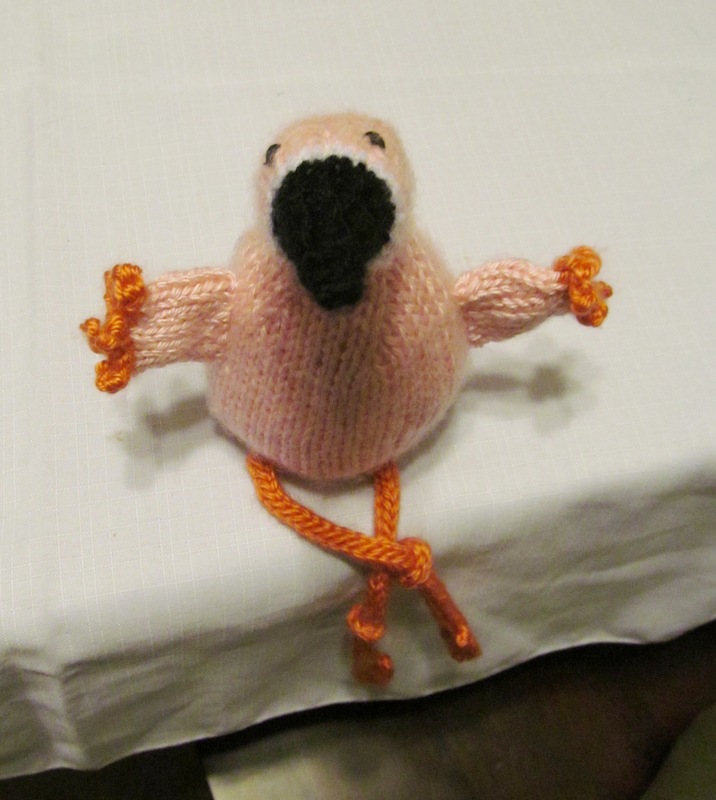 If you’d like to take a stab at making your very own knitted flamingo, hop on over to Ravelry.com to download the free pattern.